This has lovely bready aromas, fresh fruit, fine bubbles and a rich, creamy complexity on the palate. 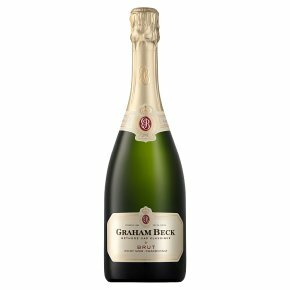 It was chosen as the official sparkling wine for Nelson Mandela’s inauguration, and also by the Obamas in November 2008. Delicious with prawns and chilli-mango salsa. Wine of Western Cape, South Africa. Made from Chardonnay and Pinot Noir with 30% of the blend fermented in 205L Piece barrels. This wine underwent the secondary fermentation in the bottle and was left on the yeast before degorgement.